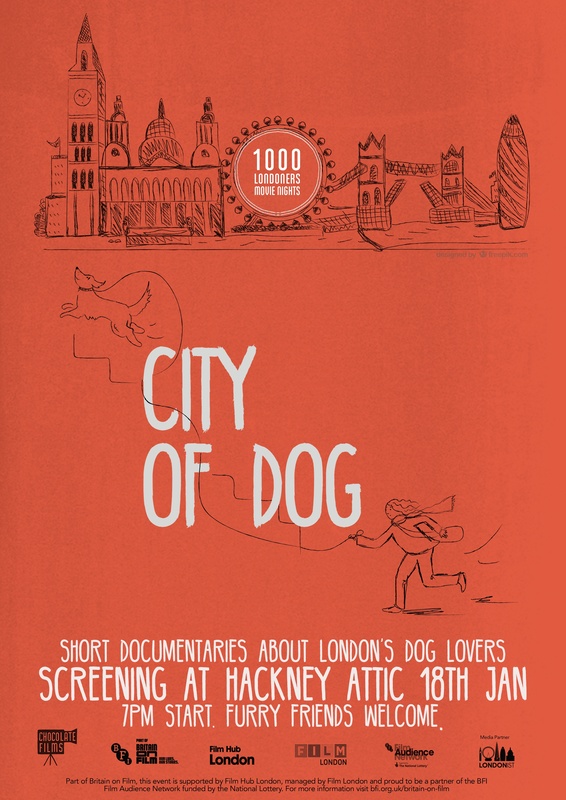 On the 18th January at Hackney Attic, 1000 Londoners go off the leash to bring Londoners and their dogs to the big screen in this collection of short documentaries and rare archive footage. Following three highly successful screenings at the Attic in 2015, Chocolate Films is excited to invite you once again to see the greatest city in the world in a whole new light, through the eyes of man’s (and woman’s) best friend. Join us at Hackney Attic, Hackney Picturehouse, for the premieres of 8 short documentaries about dog owners from around the capital. This exclusive screening will be followed by a live Q&A where you’ll get to meet both the Londoners and the canine stars themselves! Tickets only £5. Get them here!